South of the border they serve their soup with a Latin twist – with vibrant tomato and zesty lime. The peppers are ripe; the jalapeños, hot; and the tequila matures under a desert sun. The agave (a-gay-vee) is called the century plant because it lives for ten years before flowering. The flowers open on the branches of a tall, tree-like growth that suddenly rises from a slow-growing spiky rosette of saw-toothed leaves. Within those spikes lies a tender core filled with sap. The Aztecs fermented it into pulque; the conquering Spaniards distilled it into mescal. But only when the distillation comes from the blue agave in the region around Tequila, does the spirit bear the tequila name. And when the heat drains from the day, it’s time to grab lime and salt – and make soup. Some soups are for the sheer fun of it: like this exuberant cocktail of ripe fruits, juicy roast chicken, jalapeños, and coconut. Shake, stir, swirl, and enjoy. But don’t wear it on your head. Carnival may have originated in strait-laced Europe, but its power to release inhibitions found its greatest expression in the Caribbean. And nowhere do they do it bigger than in Trinidad where hundreds of thousands of revellers throng the streets in the days leading up to Lent. Here the music is deafening; the colours, overwhelming; and the energy, unstoppable. In Barbados and Grenada they take the party to the streets in August. So too in London’s Notting Hill, where the carnival plays throughout the bank holiday weekend. There’s still time to sew a few sequins. Tender artichoke hearts and sweet lovage set lips and tongues a-tingling. When simmered with spicy pancetta and cream, the mood is irresistible. Best served, shared, and sipped from a single spoon. The power of the aphrodisiac lies in the mind. The knowing wink that accompanies the nibbling of succulent artichoke leaves tells us more about ourselves than the properties of the artichoke. But that doesn’t mean we should abandon the tastes and textures of romance. The trick is to choose dishes that set a mood, to send the right signals – and to make a fuss of our partners. Love & Hearts is the perfect starting point. The rest is up to you. Who knows, you may never reach the second course. 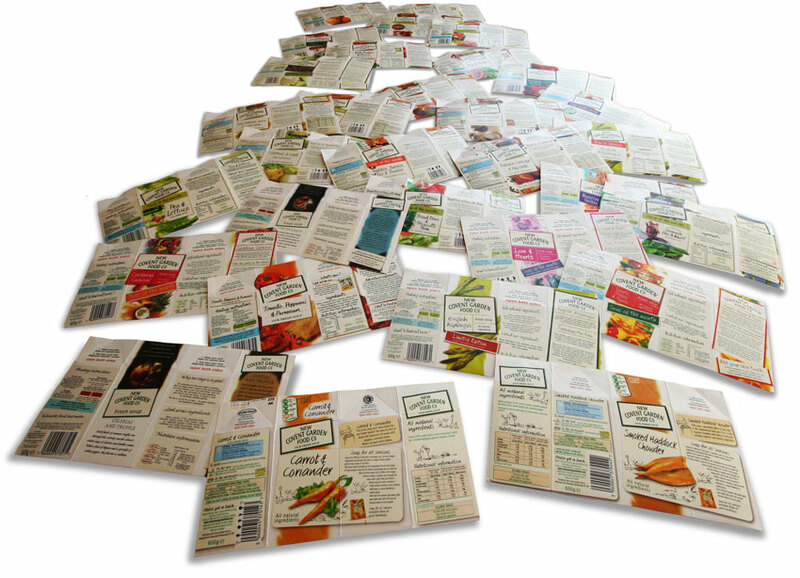 For several years we wrote the packaging copy for every soup, juice, and food from New Covent Garden Food Co. We must have rattled off more than 50 soup-carton stories. 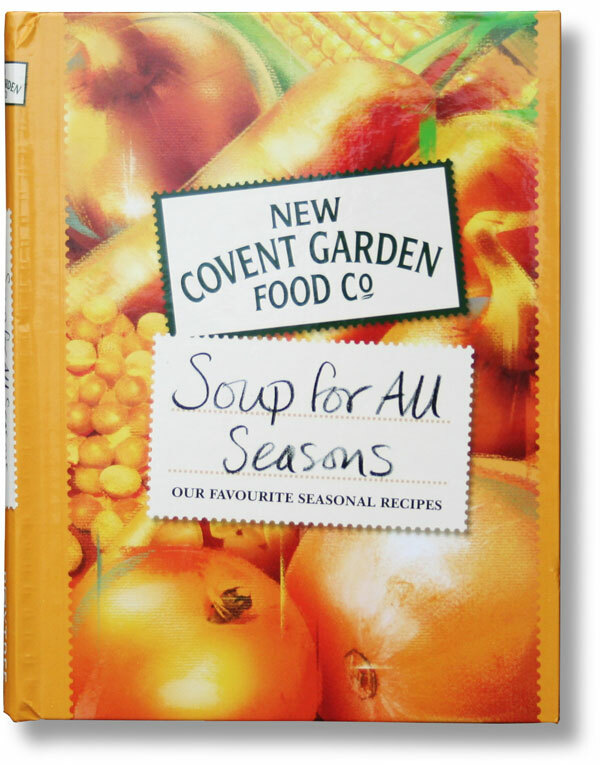 We also wrote the text for Soup for All Seasons, one of their hugely popular recipe books, and for the website they had at the time. It all started with a casual conversation in the pub when one of their team mentioned that they were struggling to put their brand into words. Truth is, we’d never done anything like that before. Who cares? We said we could do it, and have never looked back.